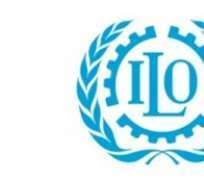 The International Labour Organisation (ILO) Committee of Experts on the Application of Conventions and Recommendations (CEACR) has indicted the federal government over the poor implementation of the national minimum wage, which was signed into law in 2011. The Committee, which is the ILO supervisory body that addresses observations and direct request to all member states, in its report observed that the National Minimum Wage (Amendment) Act, 2011 has revised the amount of fines for non-compliance with minimum wage; thereby allowing employers to pay whatever they desire to workers. The Belgore Committee set up by the federal government to negotiate a new national minimum wage for Nigerian workers had in a bid to ensure compliance by all stakeholders, recommended that any employer who fails to comply with the new National Minimum Wage Act when passed by the National Assembly, 'Section 8 of the 2000 National Minimum Wage Act, which prescribes a fine not exceeding N500 or imprisonment for a term not exceeding three months or both such fine and imprisonment should be amended to 'a fine not exceeding N100,000 or to imprisonment for a term not exceeding six months or both such fine and imprisonment'. However, the ILO Committee's report obtained by THISDAY noted that the implementation of the new minimum wage rate was facing significant difficulties in a number of states, including at the level of public administrations. Consequently, the ILO supervisory body charged the federal government to provide information on the measures taken or envisaged to ensure effective compliance with the national minimum wage by all employers to whom it applies, both in the private and public sectors. The Committee also noted that the scope of the National Minimum Wage Act, 1981 remains unchanged and continues to exclude, among others, establishments employing less than 50 workers, part-time workers, workers paid on commission or on piece-rate basis, as well as workers in seasonal employment such as agriculture. Stressing that that these exclusions, especially those referring to establishments with less than 50 workers and to agriculture, concern a very large number of workers, the Committee charged the federal government to consider the possibility of extending the scope of the minimum wage legislation to all workers in need of such protection. The Committee further directed government to provide information on the application of the Minimum Wage Fixing-Machinery Convention in practice, which Nigeria ratified, and, in particular, if such information is available, the number of workers remunerated at the minimum wage rate, statistical data showing the evolution of the minimum wage as compared to the average or median wage or the inflation rate. It further directed the labour ministry to provide labour inspection results showing the number of infringements of the minimum wage legislation observed and the measures taken to bring them to an end. Corroborating the ILO's view, General Secretary, Association of Senior Civil Servants of Nigeria (ASCSN), Mr. Alade Lawal, confirmed that the implementation of the new wage for civil servants was done in bad faith, noting that workers have not benefitted from the adjustment in the new wage. He said the argument by government that minimum wage is only for workers in the lower cadre does not hold water stating that services of workers in grade level 1-2 (cleaners) had already being outsourced to private firms. He challenged government to tell Nigerians those that are benefiting from the new wage. 'To us, it is an implementation done in bad faith. This is because the minimum salary in the civil service before the implementation of the minimum wage is N17, 034. What the federal government did was to adjust the amount to N18,000. At the end the 0.01 percent increment was used to adjust up to grade level 17. Their argument is that they do not want to create distortion in the system. Government has made a mess of the whole issue. We do not see this as implementation of minimum wage because the adjustment has to be scientific,' he said.